I'll be giving this to a cabinet maker soon to get the carcasses built up. We already have the sink (thanks Gareth!) 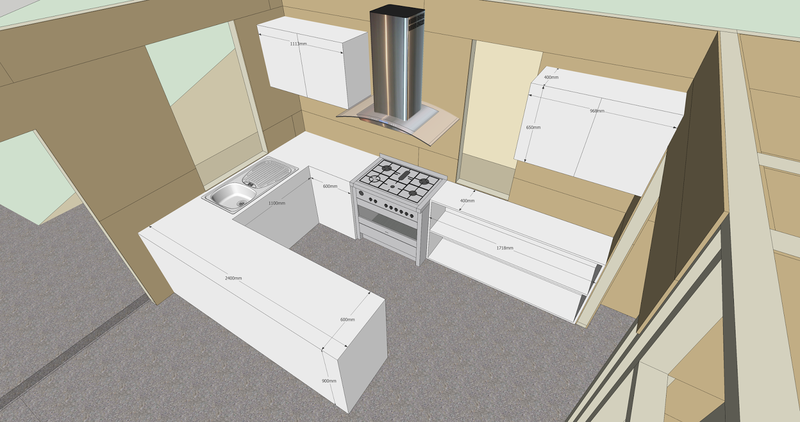 and have sussed out the stove & rangehood, so it'll only take a couple of weeks to get the cabinets built and installed.